What is the significance of these differences, and how can the author influence this? Is the only difference being a "verified" release? Why does exiftool not have a "Latest release"? And, finally, is this related to me not getting any release notification for exiftool, although I am watching exiftool releases and keep getting release notifications for youtube-dl? 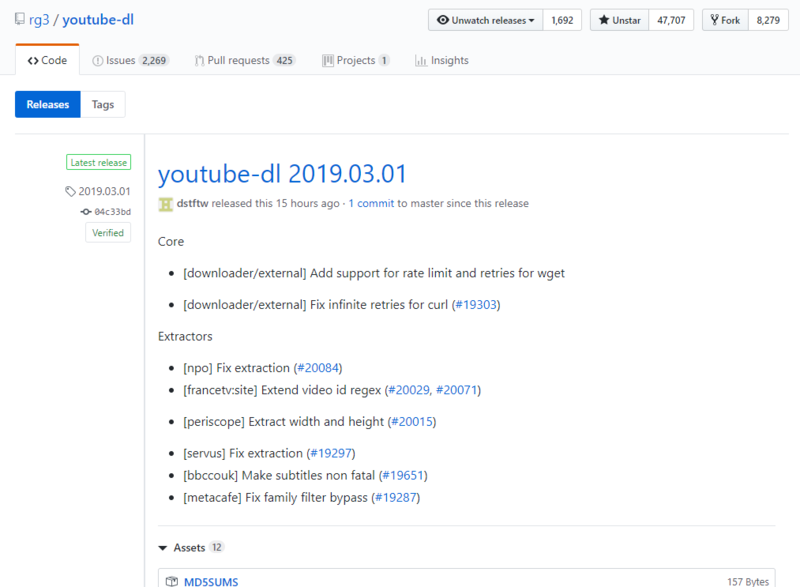 the "Releases" page (https://github.com/rg3/youtube-dl/releases and https://github.com/exiftool/exiftool/releases) will show tags and releases. exiftool is actually not making any formal releases - what is shown are tags. That is also why there is no "Latest release". We don't currently send release notifications for tags, even with "Watching releases" enabled. Are GitHub sources parsed by Search Engines? Is there a way to undelete GitHub issue labels? How to compare releases to a specific branch? How are milestones ordered in GitHub? Is there a “what links here” feature for GitHub? 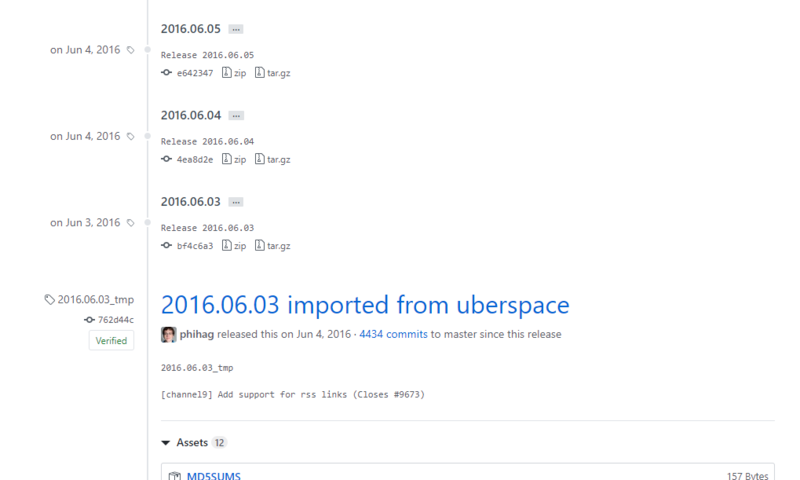 Why do my commits on GitHub look different?